Basic things to look at while investing in any avenue are — risk, returns, time horizon, and the exit route. Moreover, an exit may mean paying a heavy penalty. but to benefit from it, one needs to be careful. Given the current market conditions, it is advisable to invest in completed projects, be it commercial or residential. 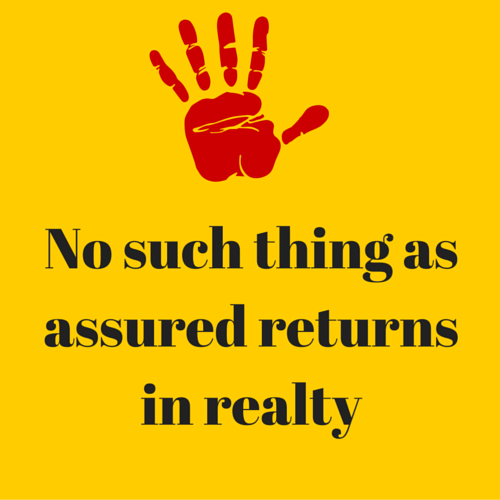 And if a builder promises assured returns, ignore the offer.